Some interesting stuff by @PedroAfonso85 building on some previous work to breakdown the importance of ball possession and some discussion about the oft discussed yet hard to quantify, momentum. @MarkTaylor0 analyzed Blocked shots to find if blocking shots is a talent. 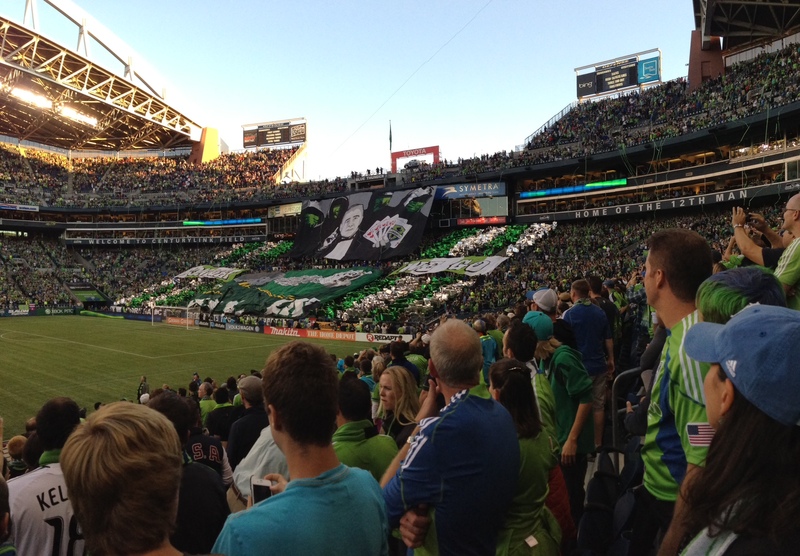 An interesting post on home advantage and how it manifests itself into football stats by @FbPerspectives. The post also has a link to a detailed paper from 2009 on home advantage. Guardian Data blog has an interactive visualization of the Bolton – City game by @jburnmurdoch. The viz has a pitch map + a radial diagram that captures the pass direction and length. An interactive visualization of the direction of a player’s passes by @alekseynp . Some of the outliers are very interesting. Momentum in Bolton – City game. by @SoccerStatistic . This is a different approach from the previous attempts on visualizing momentum using this data set. I did not publish anything last week, although I did start writing. Hopefully I will publish something later this week. If I missed any, please post them in the comments section or tweet them to me! I did not see too many new posts in the past week. I didn’t publish any as I was busy with a different project. @shots_on_target made a summary of vital stats regarding goals, shooting accuracy, penalties etc..
An interactive visualization of the full dataset by @PhilyB1976 I posted this in one of the first few summary posts but there is additional information on the site. worth revisiting! This week I saw a few more new bloggers getting into the act with the data. First up, there was this article by @RWhittall of TheScore.com where Richard talked about “soccer data abuse by some bloggers using the MCFC data”. The gist of the article is that some of the bloggers are extrapolating too much with their conclusions based on one year’s worth of data from one league. The other point made in the article is that the output of the majority of the work in soccer analytics isn’t groundbreaking and it is just adding a data context to what we already knew. While I see where Richard is coming from, I don’t quite agree either with his assessment of the state of soccer analytics or the “data abuse” bit. 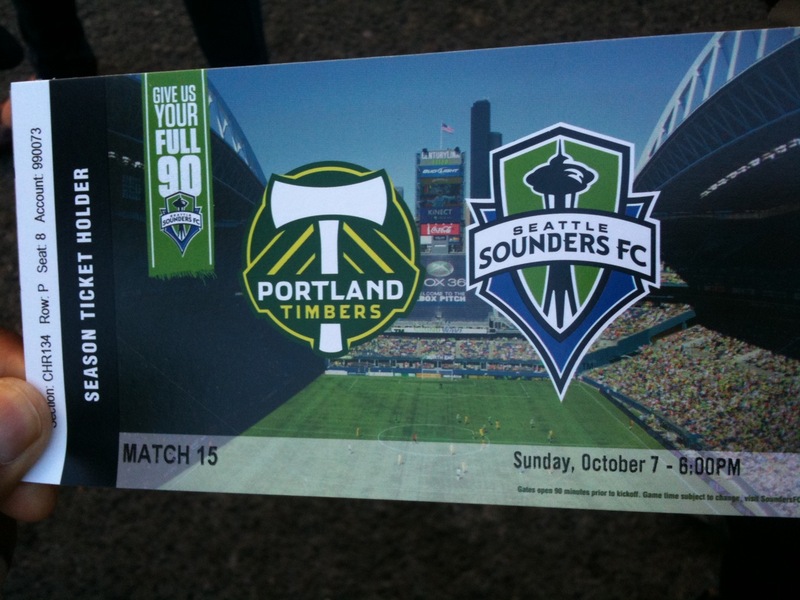 Unquestionably, we haven’t even scratched the surface of what we can do with data in soccer. The majority of the research work in the soccer analytics is carried out in the private domain. That is because soccer data is not a commodity like it is in other sports like Baseball. The MCFC & Opta project could be a significant step in the direction of making soccer data more accessible to a wider audience, if it can get enough passionate people interested in the project. However, like in any type of writing in the public domain, there is the good and the not so good. One of the things we discussed with Gavin Fleig, Head of Performance Analysis at Manchester City, Simon Farrant, Marketing coordinator at Opta et al is to build a community that fosters communication, collaboration and open feedback among the members and the readers. This should help everyone get better in some time. Without further ado, here are links to some interesting work I found in this past week. @MarkTaylor0 has a comprehensive piece on the state of soccer analytics and where it stands vis-à-vis other sports like NFL and Baseball. – The case for data analysis in football. This is a must read. In my weekly opposition analysis series I analyzed at Sunderland using last season’s data. Earlier today I saw Voetstat, a neat blog by @Voetstat_craig which has some visualizations of pass completion + heatmaps. There are multiple posts. I haven’t had a chance to read all of them yet. If I missed any links, post them in the comments section and tweet them with the hashtag #MCFCAnalytics. I will retweet them. This is an “Opposition analysis” of Sunderland, City’s opponent on Saturday 2012/10/6 at the Etihad. I used the #MCFCAnalytics Lite data set to do this analysis. Disclaimer: The analysis is primarily based on data from 2011-12 season with some data points from the first six games of 2012-13 season. Other Sunderland just took 6 short corners all season, fewest in the league. Bendtner was highest goal-scorer for Sunderland last season with eight. He also had five assists. Steven Fletcher is doing more than enough to replace him. Fletcher has scored all the five goals of Sunderland so far. There have not been any major changes apart from this. A mixture of long balls, great long-range shooting, some great free kicks and accurate crossing were the mainstay of Sunderland’s offense last season. Their attack ran through Stephané Sessegnon, Sebastian Larsson and Nicklas Bendtner. Sunderland was poor in the final third and even worse from inside the box (19th in touches inside the opposition box). They scored 30% of their goals (13) from outside the box. They do not have a lot of through balls (less than 1 per game, 18th in the EPL) or assists (18th in assists per goal scored). Sunderland was poor in short passing (15th in # of completions and completion %). These stats indicate that Sunderland were very direct in attack. The low # of assists per goal is likely due to Sunderland playing a counterattacking style football. (= a lesser emphasis on interplay between multiple players in the final third to create a chance). They used long balls to good effect to get close to the opponents goal and take shots from outside the box. Their shooting and shooting efficiency from inside the box is poor. 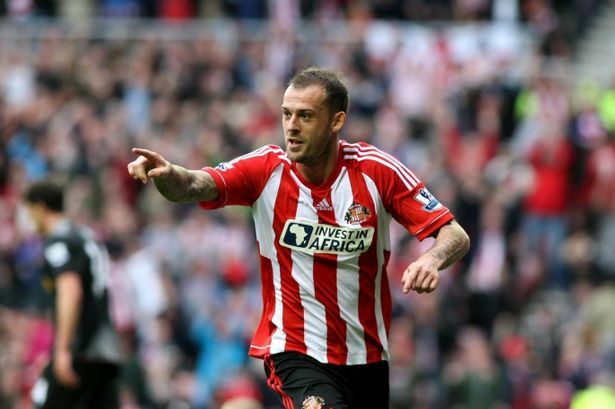 Steven Fletcher has accounted for all the five goals Sunderland scored this season. They have a hard time keeping the possession of the ball (like last season). They are unbeaten this season with four draws and a win. Their inability to hold on to leads (or scoring an extra goal) has cost them dearly. They had a lead into the second half in four of the five games but have won only once. Their problems with keeping the ball imply that opponents find it easier to breakthrough, especially in the second half when Sunderland is most likely trying to protect a lead or the point. Based on the numbers, Sunderland is a clean tackling defence who do not concede many shots on target. However, they allow opponents a lot of short passes & pass completions in the final third. This indicates that they are likely not pressing and defend deep. Opponent GK’s have great success (over 70%, 3rd in the league) distributing the ball against Sunderland, another indicator that they do not press much and defend off the player. Their relatively low foul count is probably indicative of this. They concede a high number of corners but have just conceded one goal off of corners last season. They are strong in ground duels and are one of the worst teams in aerial duels. They also employ a high number of head clearances. City had a lot of success against Sunderland in the final third with 181 & 167 completions away and home respectively (average: 135). However, this advantage did not translate into shots on target for City. This could be a side effect of their clean tackling and high # of headed clearances. Mignolet is good with saves and does not allow many goals (which, is probably a reflection of the overall defensive scheme, not just the goalkeeper). However, he seems to have trouble distributing and passing the ball. The proportion of long passes of the total passes is highly skewed in favor of the long passes. These numbers indicate that Mignolet hoofs the ball as far as possible and most of the time his passes end in loss of possession. The low number of short passes and pass completion rate of short passes could be indicative of an overall scheme and/or that Mignolet & the Sunderland central defenders are not very good at passing short from their goal. This means pressing the ball high in the defensive third of Sunderland could be a very productive strategy for opponents. City forwards might enjoy a lot of success prolonging their possessions in the final third by keeping the pressure on the Sunderland GK and defence. At the Etihad, City needed a big comeback from 1-3 down to salvage a point. At the Stadium of light, Sunderland upset City 1-0 with a late goal from Di Jong Won. City had 181 (away) and 167 (home) completions in the final third, both higher than their average of 135/game. Shots were close to their game averages. City is very likely to have a lot of success pressing Sunderland in their defensive third. They might not find it very difficult to pass short and have lengthy possession spells in the Sunderland final third. However, they need to stay patient as Sunderland defend very well as a team. Sessegnon, Fletcher and Larsson are the three players to watch out for at the other end of the pitch.